I know what some of you are thinking, “Sybil, my money is none of your business!” and you’re right! It’s not really my business where your money goes, but it is YOUR BUSINESS! I’m only here to bring your money to your attention. You may be wondering why I’m touching on this topic, considering I’m not a financial expert. Well, the other day while I was out running, I was thinking through some of the justifications that so many people use to put their dreams on hold. “I don’t have the money…” “I can’t afford to leave my job…” “I need an investor…” and the list goes on. It makes my head spin thinking through all of the justifications that are rooted in a lack of money. Do I believe that money is the root issue? NOPE. But I do think that we as women need to address the LACK around money that exists in our community so that we can build a strong legacy and live the life we deserve. Get HONEST! Let your money truths set you free! What are your true feelings around money? How is money used in your life? What are your expectations around your money? Does it keep the lights on or does it establish a lifestyle that you’re passionate about? It’s time that you get super honest with yourself and your perspective around money. Healthy thoughts will lead towards healthy actions that yield healthy results. If you’re experiencing any challenges with this formula, locate the weak spot and address it with an honest heart. Get on a BUDGET. I know it’s a simple step but so many of our girlfriends are out here ballin’ before their budget. Yep, ballin’ before their budget. What does that mean? By the time they finish ballin’ there is no budget! If we want a healthy relationship with our money, we need to honor it by establishing a plan for our spending. Now this is one of the toughest steps to stick to, but probably one of the most powerful disciplines that any human can master. A budget says that my legacy is worth the investment in time and attention on my money. A budget says that I respect myself and my finances enough to nurture them with short term and long term planning. And a budget says that I’m boss enough to realize that my money mastery is crucial to living the lifestyle I deserve! Get GOALS! Girlfriends, there’s nothing worse than having a vision board full of aspirations with no means to accomplish them! How can we plan when we haven’t prepared. 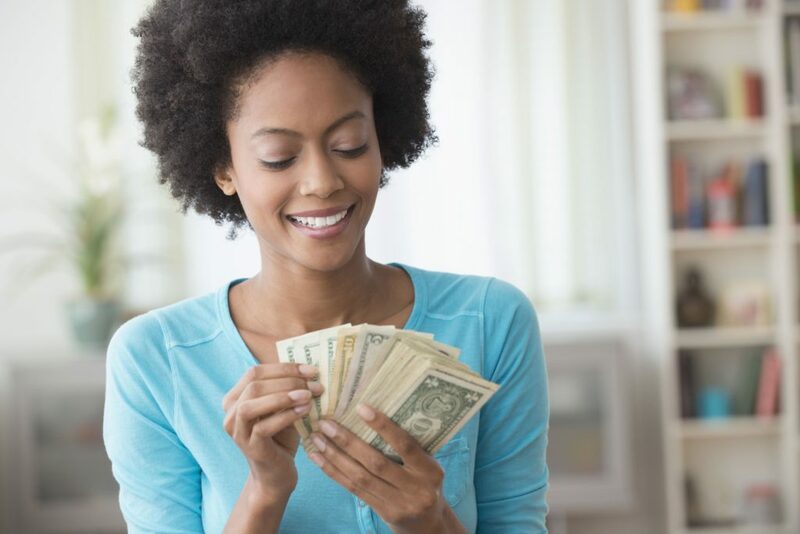 Financial preparation means cleaning up poor habits, creating new habits, and establishing long term habits that will allow your money to grow. That takes commitments like eating out less, working out at a track versus a gym membership, cutting Netflix, brunch dates at the house versus the top restaurants in town, Groupon vacations instead of 5 star trips, saying “No” now for “YES” later, setting standards that allow your money to be allocated differently, and focusing on the big picture but making small steps daily to get there. I suggest asking yourself “What are some 30,60, 90 day and 1 year goals that I would like to accomplish around money? Get with a financial planner. No, I didn’t believe in financial planners before, but that was because I had money shame. I hadn’t done all of the above, so I was afraid that a planner would judge my ignorance and try to sell me on a bunch of financial tools that were beyond my understanding! It took me years to face the idea that my financial challenges were only a reflection of my lack of total life discipline! So what do you do when you lack discipline? You get a coach/trainer in your corner to help you transform your weaknesses into strengths. We do this most of all with physical fitness, but what about financial fitness? Girlfriends, I’m urging you to leave no stone unturned! After you’ve done step 1-5, schedule a consultation with a financial educator to just get the conversations started around elevated financial planning. (note: a consultation is FREE!) And don’t worry, you don’t have to make any commitments that you’re not comfortable with. It’s so important to get committed, get educated, and get on a budget so that you can get elevated at a level that feels right to you. Once you’ve established your short term and long term goals for your finances, a planner can help you set the direction you need at a commitment that makes sense for where you are. My family is currently with Shirley Ann Robertson at Prudential, and my husband and I are super happy with her services and planning for our family. Get HAPPY! If you continue to pursue the financial fitness you deserve, you will reap the results of your hard work and dedication! Don’t get happy and start spending, get happy and get your great girlfriends on track as well!!! I can’t wait to get your emails as you transform your money mindset and set the course for your financial legacy! Girlfriends, I am cheering you on as you go from victory to victory! The live richer challenge is everything! I just started getting serious about my money and money shame! Not waiting for 2017 to get my money right!! !